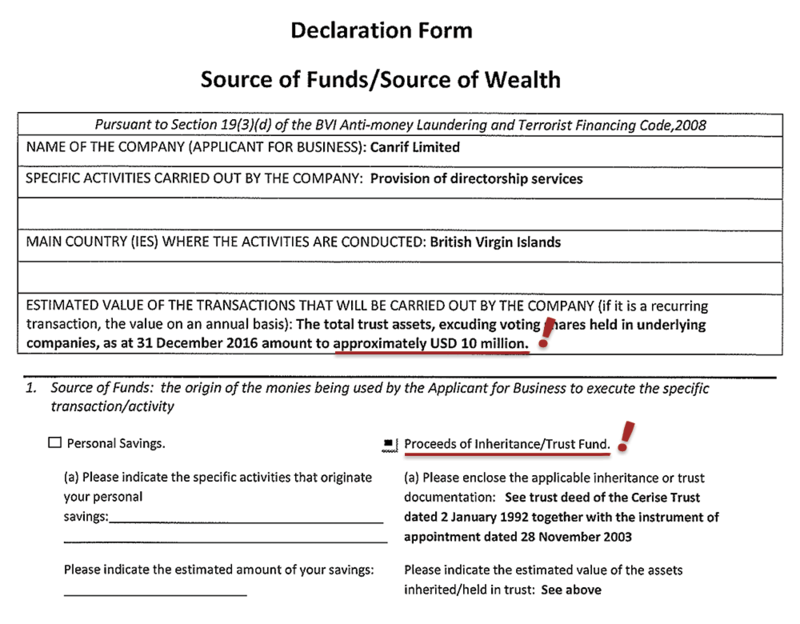 The new data leak from tax haven Panama for the first time reveals approximate value of assets owned by Liga Lemberga, the daughter of a Latvian oligarch Aivars Lembergs. In March 2017, the scandal-hit Mossack Fonseca, a Panamanian law firm that for decades had helped global celebrities, oligarchs, criminals and simply wealthy individuals to hide away their assets, sent a letter to a company in the United Kingdom saying it was ditching one of its clients. 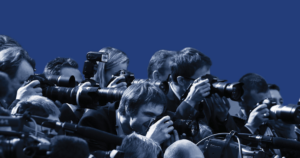 The reason was a frantic cleaning operation of the firm’s client list (read more about it in the latest investigation by the International Consortium of Investigative Journalists (ICIJ)). Two months after the first Panama Papers leak in 2016, which revealed the hidden assets of Vladimir Putin’s inner circle, the then-prime minister of Iceland, famous football players and many others, Mossack Fonseca still couldn’t identify the owners of more than 70 percent of 39,000 active companies it had registered in the offshore havens of the British Virgin Islands (BVI) and Panama. One such company was Hoshen Limited, set up in the BVI. Mossack Fonseca had identified it as a high-risk client; the information the firm had on it did not comply with the requirements of the local laws. So, the law firm was ready to give it up as a client. In response, Hoshen Limited delivered a package which contained copy of its beneficial owner’s passport and a document signed by the owner regarding the origin of funds and the company’s place in a complex network of offshore companies. The signatory was Liga Lemberga, the daughter of Aivars Lembergs, an influential Latvian political figure who has been the mayor of a seaside town Ventspils. Ventspils used to be the main hub for Russian oil transit to Europe since 1988, but greed of the local officials and geopolitical considerations by Russia dried it up in early 2000s. For more than 10 years Lembergs is also indicted of corruption and financial crimes in a criminal case against him, but the trial is still dragging on painfully slow. In the documents sent to Mossack Fonseca, Liga Lemberga said the money originated from a trust which holds more than $10 million in assets. She is a least one of the beneficial owners of this trust, the documents showed. This is the first time information about at least partial value of assets controlled by Lemberg’s daughter has surfaced in Latvia. Re:Baltica as a member of ICIJ was able to access these documents. 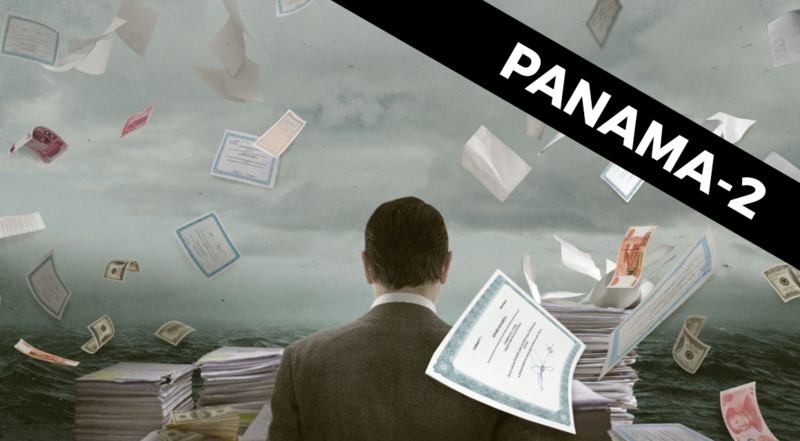 If the first Panama Papers leak exposed the firm’s inner dealings up to 2015, the documents from the second leak are dated from early 2016 through the end of 2017. In the first Panama Papers leak, Lembergs’s daughter was listed only as a director in previously known offshore companies. Liga Lemberga avoids public attention. Unlike her brother Anrijs, who has been sitting on the same courtroom bench together with his father accused of corruption and financial crimes (both deny charges), Liga Lemberga is only a witness in this lawsuit. The law allows not to testify in court against one’s relatives. The Cerise Trust Savings, established in 1992 and in which, according to the documents signed by Liga Lemberga, assets worth at least $10 million are held, is mentioned only in passing in the Lembergs’s criminal case. A Swiss attorney Rudolf Meroni, who was hired in 1990’s to build an offshore network for clique of Ventspils rulers and who later became the oligarch’s nemesis, has testified that the Cerise Trust was a trust of the Lembergs family. Meroni claims Cerise Trust was managing a number of other companies, the court filings show. In London in another lawsuit, in which subsidiaries of Latvian Shipping Company unsuccessfully sought to recover $135 million for international fraud, both adult children of Lembergs were listed as the beneficiaries of Cerise Trust. 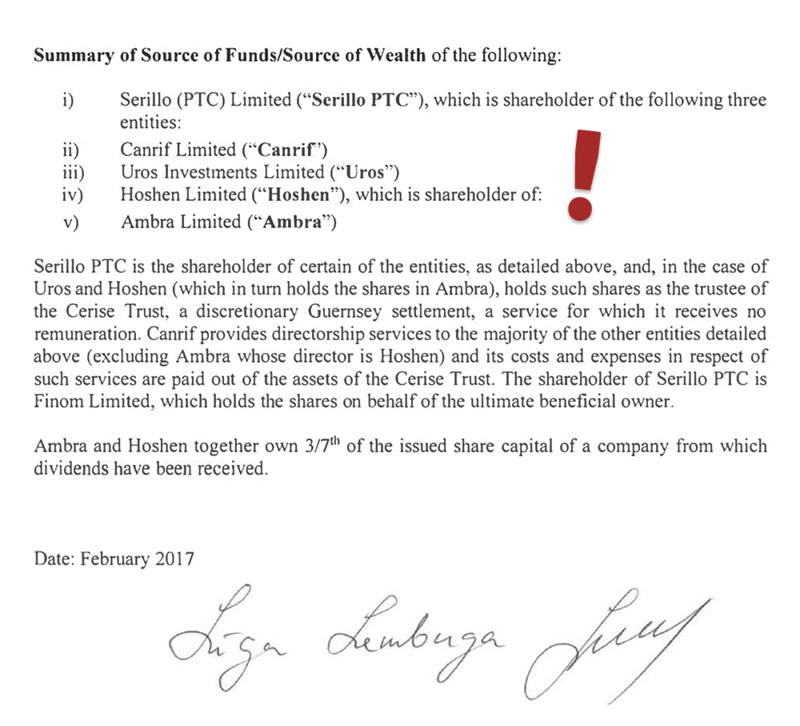 The documents obtained now show that Liga Lemberga became the beneficiary of the Cerise Trust in 2003. It is not clear from the documents who are the real owners of Bachmann Trust Company, which established Cerise Trust. Olafs Berkis, another ally-turned-foe of Lembergs, testified in the Ventspils mayor’s criminal case that based on orders by Aivars Lembergs Berkis had appointed Bachmann Trust Company as a shareholder in other businesses secretly held by the mayor. 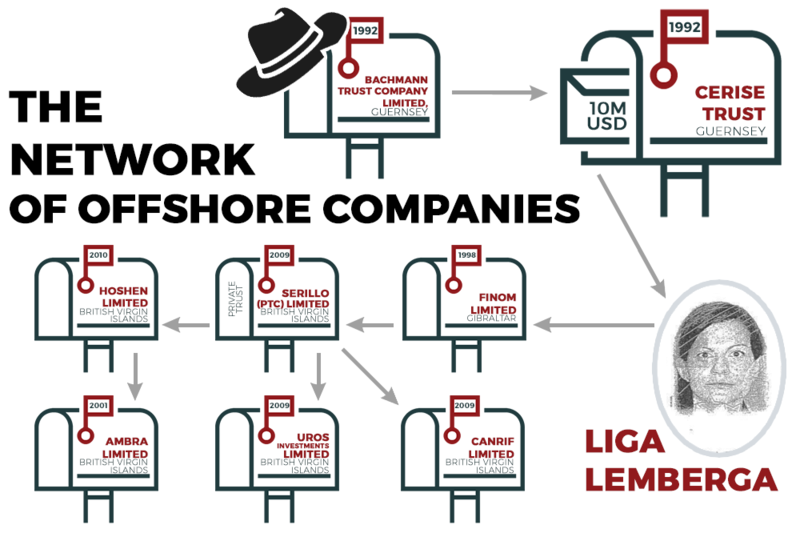 This newly discovered network of offshore companies is not mentioned in the existing criminal case of Aivars Lembergs. The documents show that most of these offshore companies were registered after Aivars Lembergs’s case was brought to court in 2008. It is not known to Re:Baltica why Liga Lemberga needs her own offshore network, nor how the trust, of which she is the beneficiary, got assets worth more than $10 million. Nor she, nor her father responded to the questions ahead of the publication of this article. 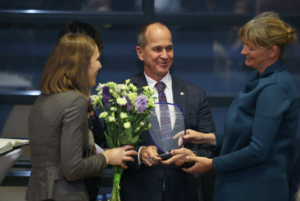 Aivars Lembergs contacted Re:Baltica after the publication, saying in an email that his kids were 42 and 43 years old and led independent lives for a quarter of century. However, he did not respond to Re:Baltica’s questions about the establishment of the trust in 1992 and whether trust’s assets were linked with his activities while being a state official. 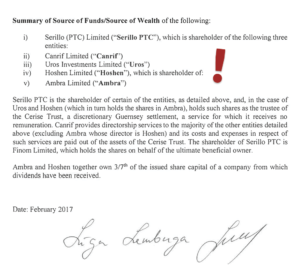 Meanwhile, Mossack Fonseca changed its mind and decided to continue cooperation with Hoshen Limited after it received additional information about its beneficiary and her wealth in May 2017. Valts Vīgants, one of Latvian financiers who allegedly represented Alexander Babakov, a member of Russian Duma, through V.D.Nominees in a BVI registered company AED International that had significant holdings in Ukraine’s energy sector, in a 2016 letter asked to exclude AED International from the BVI company register. He wanted to opt out of further Mossack Fonseca services “due to various reasons, including the recent information leak”. After the data leak, entrepreneur Ainars Gulbis wanted to liquidate one of his two offshore companies, Farber & Associates, in which he had appointed his son, tennis player Ernests Gulbis as a director. In the other company, Davis Group, he wanted to change the director. Due to panic and amount of work after the first leak, Mossack Fonseca did not respond to his emails for several months. 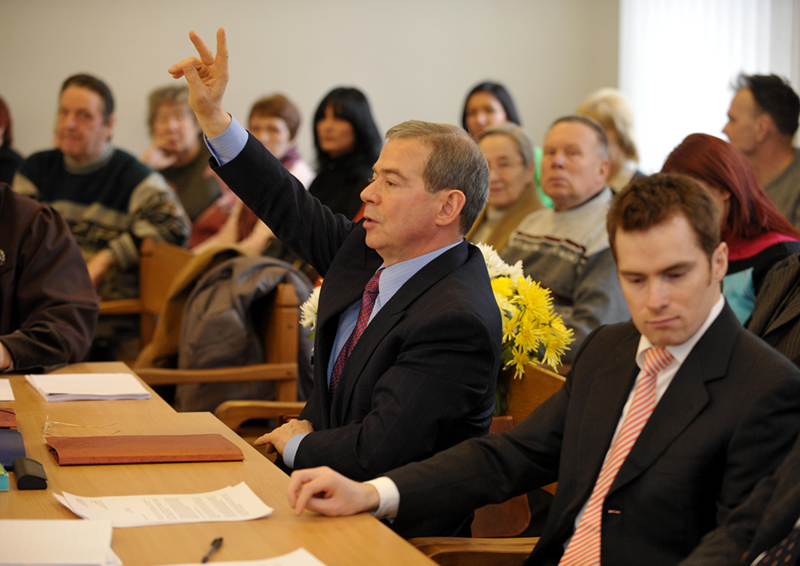 Ainars Gulbis wanted to put a lawyer Mārtiņš Martinsons in the director’s chair of Davis Group, but this candidate was not accepted as it was revealed he was a politically exposed person. Mossack Fonseca claimed it was not taking on clients like that anymore (in a correspondence with the Panamanian firm, the lawyer stressed it was just a formality. The information from Latvia’s Central Election Commission shows that he was running in the 2014 Latvian parliament elections from the list of the current Latvia’s ruling party, The Greens and Farmers Union). After long efforts Farber & Associates got liquidated, while for the other company, Davis Group, Gulbis decided to change the administrator and replaced Mossack Fonseca with the BVI registered ABM Corporate Services. Construction entrepreneur Valdis Lejnieks (A.C.B.) and his business partner Edvīns Tankelsons faced similar issues with a company they owned, Amza Properties. Lejnieks sold a land and a tennis court in one of Riga’s suburbs to this company during 2008-2009 crisis. After data leak, Nordea bank in Luxembourg informed its Mossack Fonseca clients, including Amza Properties, that it was not dealing with the law firm anymore and closed the accounts of offshore companies it held. Amza Properties were ready to put up with the closing of the account, but they wanted to continue to cooperate with Mossack Fonseca. Therefore, they sent the necessary documents to Mossack Fonseca for due diligence explaining the origin of funds and clearing up other issues. Judging by the fact that the correspondence abruptly ended at the end of 2017, Mossack Fonseca apparently wanted to give up the client after all. Romur Inc, the company of Gundars Bedre, the owner and manager of food additives manufacturer NEO, was another client of the Panamanian law firm with an account in Nordea’s Luxembourg bank that apparently met the same fate as Amza Properties. Panama’s financial intelligence unit has asked Mossack Fonseca to provide information about companies that were related with Ralf-Dieter Montag-Girmes, the former investor of Latvian national air carrier airBaltic, Maksims Kargins, the son of Parex bank former shareholder, the Buseli family who used to own gas station chain Dinaz and many others. The documents show that the firm shared the information with the authorities, but it is not clear what happened next.